Courtesy of Beaver Creek Resort Co. The Motherloaded Tavern, 103 S Main St., Breckenridge, is hosting events every day of the week throughout the month of March. On Saturday, March 22, the tavern will be rocking to the music of Midnight Blue. Other bands for March include Breckenridge’s own Whiskey Richards on Friday, March 28, and Motown and R&B from Funky Johnson on Saturday, March 29. Take advantage of the all-day happy hour every Sunday, open mic night and locals’ jam on Mondays at 9 p.m., live trivia Tuesdays, prime rib night every Wednesday at 5 p.m. until it’s gone and drink specials on Thirsty Thursdays. For more information on these events and other events at the Motherloaded, visit http://www.motherloadedtavern.com. Flipkey.com, the vacation rental site of leading travel site TripAdvisor, recently announced that through industry research and traveler feedback, Keystone Resort has been recognized on the list of Top Family Travel Destinations for 2014. The destinations were selected based on traveler reviews and feedback and vacation rental travel trends data, as well as industry research into the most popular destinations to visit when traveling as a family. Factoring in criteria such as family-friendly attractions, activities and accommodation options further narrowed the list down. There are 14 total places on the list of top family travel destinations. For more information or to view other top family destinations, visit http://www.flipkey.com/trip-ideas/family-travel. Join Saga Snowboard and Ski Outerwear, GNU Snowboards and pro snowboarder Stephanie Sue Field on Saturday, March 22, and Sunday, March 23, for Woodward Winter Camp. Winter Camps follow the same progression as the daily offered Freestyle Lessons — a half-day in the Woodward at Copper Barn and a half-day spent in Woodward’s award-winning terrain parks — and each camp features free gear giveaways thanks to camp-specific partnerships with some of the hottest ski and snowboard brands in the industry. Woodward coaches will help skiers and riders take tricks to the next level. The Woodward Team boasts an 85 percent success rate on campers achieving goals. Can’t make March’s camp? There’s a Roxy Girls and Lib Tech Snowboard and Ski Winter Camp on Saturday, April 12, and Sunday, April 13. For more information on Woodward Winter Camps including a full list of dates and sponsors, visit http://www.woodwardatcopper.com. Denver Off The Wagon, Imbibe, The Lobby and porchdrinking.com have announced the second-annual New Kids on the Block Beer Festival. This beer-centric and ’80s-themed event will take place on Thursday, March 27, at 8 p.m. at The Lobby, 2191 Arapahoe St., Denver. As part of Colorado Craft Beer Week, New Kids on the Block includes unlimited beer tastings, ’80s jams, a beer-themed buffet and costume contest. Participating breweries include Big Choice Brewing, Brewery Rickoli, Caution: Brewing Co., Elevation Beer Co., Fate Brewing Co., Future Brewing Co., Front Range Brewing Co., Our Mutual Friend Malt & Brew, Prost Brewing Co., Station 26 Brewing Co., TRVE Brewing, Verboten Brewing, West Flanders Brewing Co. and Westminster Brewing Co.
General admission tickets for New Kids on the Block are on sale now for $25 at http://imbibedenver.com/nkotb. A portion of proceeds will benefit the Colorado Brewer’s Guild. For more information on Colorado Craft Beer Week, visit http://www.coloradocraftbeerweek.com. Beaver Creek Ski Patrol is inviting ambitious, hard-working and skilled alpine and telemark skiers who would like to work in an active outdoor environment during the winter season to their annual ski tests, which will be held on Sunday, March 30, and Saturday, April 5. 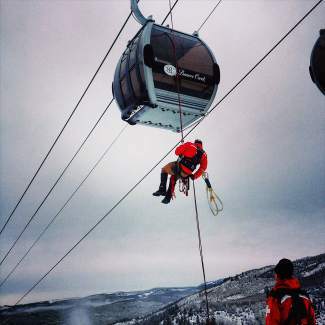 In addition to averaging 120 days on the mountain each winter, being a member of the ski patrol provides invaluable leadership skills, outdoor emergency care certification and training that encompass toboggan handling, high-angle rescues, avalanche mitigation, explosives, community outreach, lift evacuations and more. Ski patrollers are the first on the slopes and the last ones off each day and serve as safety ambassadors for the resort, interacting with guests and fellow employees on a daily basis. The ski test includes a morning orientation and introduction at Patrol Headquarters, followed by the on-snow ski test, which consists of skiing a variety of runs in variable conditions while being evaluated by members of Beaver Creek’s patrol team. The day concludes with an interview by current patrol staff. Participants who meet the skiing requirements will be required to attend a “shadow” day with the ski patrol for further evaluation and to learn more about daily job requirements and training. Following ski test tryouts in the spring, qualified candidates are offered positions in the fall before the start of ski season. Interested candidates should register for one of the ski test dates online at jobs.vailresorts.com and search “Beaver Creek Ski Patrol Hiring Clinic” or enter requisition number 60689. The job requirements are also listed at jobs.vailresorts.com. For more information, call (970) 754-6665. SpringFest continues through Closing Day at Beaver Creek, with events and attractions for everyone in the family. Beaver Creek Loves Teens features activities for ages 13 to 17, including the Twilight Snowshoe & Pizza Party on Monday, March 24, and Monday, March 31, and the Teen Trick Class at The Anti-Gravity Center on Thursday, March 27, and Thursday, April 3, where teens have an opportunity to practice their tricks on trampolines and jump into foam pits, followed by an ice cream stop. For a full list of events and to register, visit http://www.beavercreek.com/teens. The annual Easter Egg Hunt takes place Saturday, April 19, at 10:30 a.m. and is not to be missed; 4,000 Easter eggs will be hidden in Creekside Park just below Beaver Creek Village. To learn more about the SpringFest events taking place through the end of the season, visit http://www.beavercreek.com/springfest or call the Beaver Creek Information Center at (970) 754-4636. The Denver Museum of Nature & Science, the region’s leading resource for informal science education, will provide a variety of spring break programs for children through Sunday, April 6. The programming complements the museum’s current temporary exhibition, “Maya: Hidden Worlds Revealed,” and is free with the purchase of a general admission ticket. 10:30 a.m. to 3:30 p.m. Saturday, March 22: Immerse yourself in the ways of the Maya people by playing the Mesoamerican ballgame. Team Jaguar versus Team Snake — can you get the ball through the hoop? Games begin on the hour. 10 a.m. to 4 p.m. Sunday, March 23: See, touch and learn about exotic and colorful snakes, turtles, lizards and more with Colorado’s creature teacher, The Jungle Lady. Often used in Mayan art and myths, these amazing creatures are an important part of the cultural traits developed and shared by the Maya culture. Show times at 10 a.m., noon, 2 p.m. and 4 p.m.
10:30 a.m. to 3:30 p.m. Monday, March 24: Local artists from Chicano Humanities and Arts Council will help you make a Mesoamerican-themed art piece to take home, such as a weaving, stone rubbing or mask. 10:30 a.m. to 3:30 p.m. Tuesday, March 25: Immerse yourself in the ways of the Maya people by playing the Mesoamerican ballgame. Team Jaguar versus Team Snake — can you get the ball through the hoop? Games begin on the hour. 10:30 a.m. to 3:30 p.m. Wednesday, March 26, and Thursday, March 27: Maestras from Museo de las Americas help you learn about Mayan astrological traditions and then make your own Maya zodiac pendant to take home. 11:15 a.m. and 1 p.m. Friday, March 28: Watch performances from the Huitzilopochtli Traditional Aztec Dancers and learn how their art is a way of sending messages to Mother Earth and the natural elements of water, fire and air.